Athletes are still kneeling on the football field all over the US. The masses are still marching in St Louis. 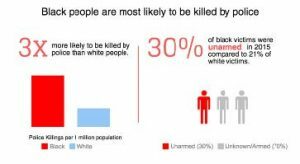 The routine and unpunished police murder of black men and women is one of the most in-your-face examples of the brutal racism that dominates each and every capitalist institution. Racism divides the working class. It attacks non-white workers particularly hard. It is crucial to capitalism worldwide. Racism is the cutting edge of the growing fascist attack against the entire working class. The capitalist state—and its cops—are absolutely dedicated to enforcing this murderous system and its daily racist murders. Racism rose with capitalism and imperialism spread it around the world. We will tear them down together. We’ll smash the capitalist state and its cops. We will build a communist society based on collectivity and cooperation, where we will plan together what we produce and how to make sure everyone gets what they need. Freed from the necessity to compete for jobs to survive, and the racist and artificial distinction between “manual” and “mental” labor, we’ll change history. We’ll wipe racism from the face of the earth. The bosses’ media cover up St. Louis, but they’re publicizing the National Football League protests. Football players, following the example of Colin Kaepernick, are taking a knee during the national anthem to protest the systematic oppression and murder of black people. Trump has called for these athletes to be fired. The press has followed his lead, covering up the issue of racism that motivates these protests, and diverting the discussion into one about patriotism. Last week US Vice President Pence staged a “walk-out” from a football game because players knelt during the playing of the national anthem. Veterans and others, on the other hand, have argued that protest is patriotic. During the third night of the protests in St. Louis, the cops clearing the streets taunted the crowd by chanting, “Whose streets? Our streets!” Protestors often chant this when they can temporarily take over the street in defiance of the cops. But really, the streets—like all the institutions of the capitalist state—do belong to the capitalists and their cops. Sometimes in huge demonstrations we can defy the cops and take the streets. That’s because they don’t want to expose their democracy as a veiled dictatorship by using mass violence against the masses. The liberal establishment has criticized these cops, saying that it’s important that the government and the cops maintain the appearance of neutrality. But this chant exposed the naked truth of class rule. The streets belong to them until we organize a communist revolution—a violent revolution—and claim them once and for all for the working masses. Industrial workers and soldiers—not professional athletes—will be key to this struggle. It’s the same thing with the flag. The “Star Spangled Banner”—the flag that the US national anthem celebrates—is not our flag. Every national flag is the flag of the ruling class. Working people have no nation and no national anthem. Our flag is the flag of the international working class—the red flag of communism. Our anthem is the Internationale. Patriotism is the bosses’ ideology. They use it to convince us that we have a common interest with our oppressors, and to send us off to war to kill and die for their profits. 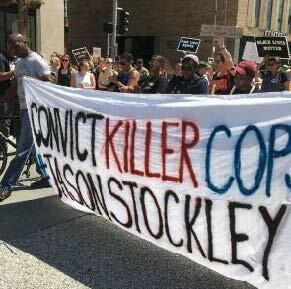 The fight against racist police terror must attack the cause—capitalism. The rulers will never stop terrorizing and killing us. We have to get rid of them and their system and fight for a communist future which can finally build a world free from racism and killer cops. In a communist world the streets will be our streets. 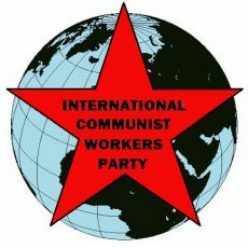 We’ll continue to pledge our allegiance to the international working class. We’ll work together and overcome the damage that racism has done. The masses in St. Louis, those around the US who have stayed in the streets in protest of racist police murder, and masses in struggle around the world who continue the fight against racist capitalism in all its forms, give us confidence that the working class, armed with communist ideas, can overthrow this murderous system, and build the future we deserve. 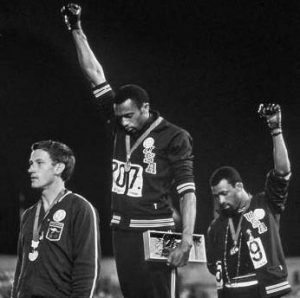 Mexico City Olympics, 1968: US athletes Tommie Smith and John Carlos, and Australian Peter Norman join the Olympic Project for Human Rights protest against racism and poverty during the playing of the US national anthem.